Oriental lilies are popular for their large blooms. They also have mesmerizing fragrance and a soothing presence in the room that makes them favorite among all the other gifts. 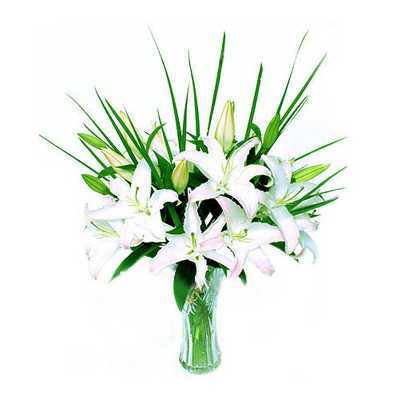 This enchanting bouquet of 6 beautiful white Oriental lilies adorned with green leaves and placed in a spectacular green color vase is the perfect gift.